This post is brought to you by Amazon on Red Tricycle. Family road trips can be a great way to get out and see the sights of any destination and can be both a learning and a bonding experience. They can also quickly deteriorate into hours of backseat bickering and whining if you're not careful. 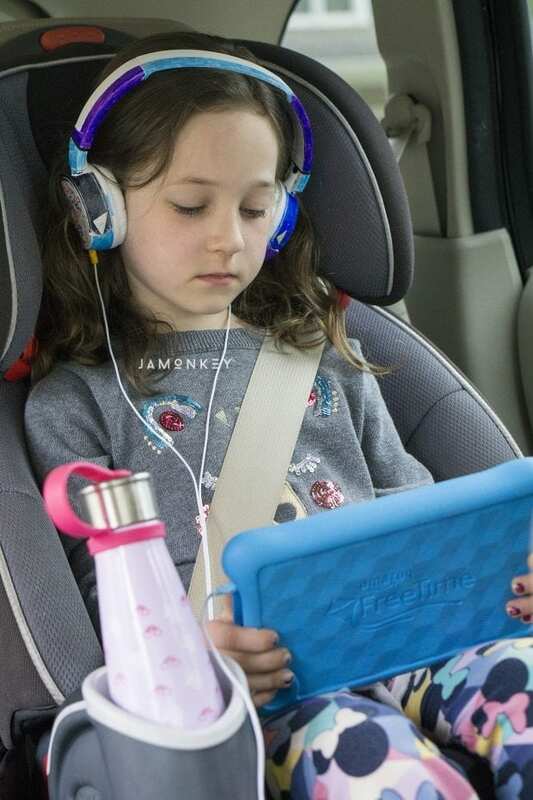 It's not easy for little ones to sit in the car for hours on end, and it would be unfair to expect them to stay busy merely looking out the window for that long. By planning ahead, you can make sure everyone's happy so that you can sit back, relax, and enjoy the journey. Here are some of the must-have items and activities that I always pack for my road trips. 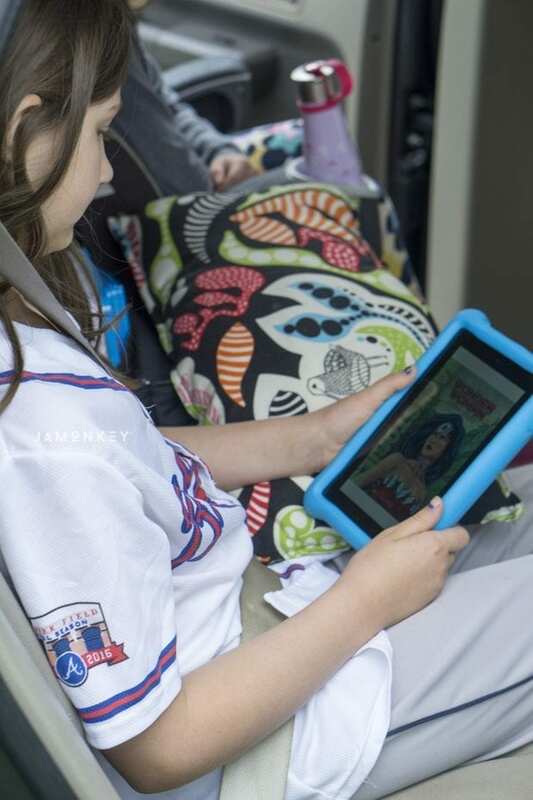 Movies – My girls have an Amazon Fire 7 Kids Edition tablet that I bring on all of our long trips. Being able to put a mini SD card in it to expand the storage allows me to load a handful of kids’ movies onto the Fire before we leave. The kids select the movies they want, and I download them before we leave to watch without Wifi. Remember, a typical kids movie could give you an hour and a half of silence. Grab a headphone splitter so that they can watch the movie while you’re listening to the radio or a good podcast. 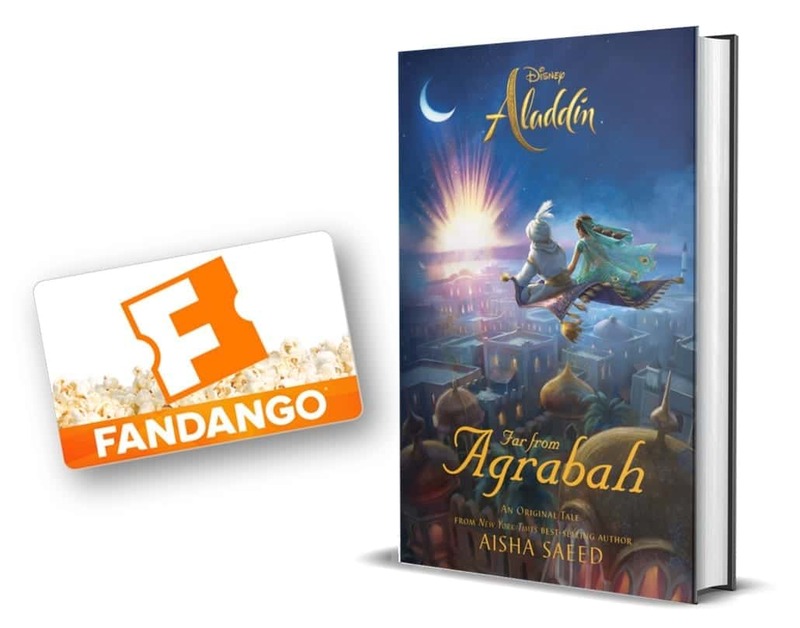 Favorite Books – My oldest loves comic books so we always have some of her favorites loaded onto the Amazon Fire Kids Edition tablet. It saves space in the car as well. 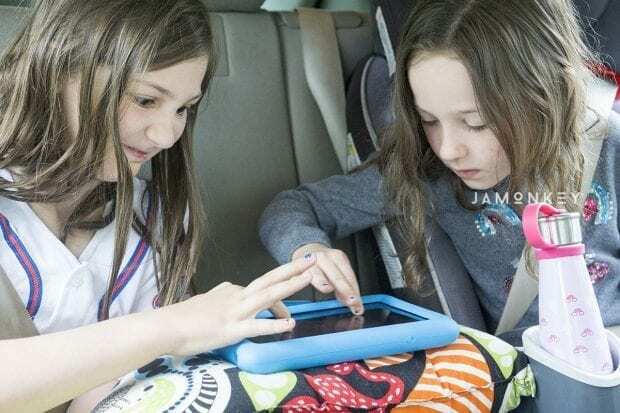 With Freetime Unlimited you have access to 15,000 kid-friendly books, movies, TV shows and apps that you can download and use without Wifi making it perfect for those long road trips. Favorite Apps – Amazon Underground Apps gives you access to “actually free” apps. Play apps that are multiplayer like Tic Tac Toe, Fruit Ninja, There are other favorites like Minecraft and my kids love Toca Hair Salon Me where they can take a picture of themselves and then style their hair in different ways. Camera – Kids love taking photos of their travels as much as you do. Indulge their whims by letting them use the camera on the Amazon Fire Kids Edition tablet to document their trip. They can quickly pass the time setting up the right shot and looking out the window for interesting subjects. I have two organizers that I keep in my car at all times. 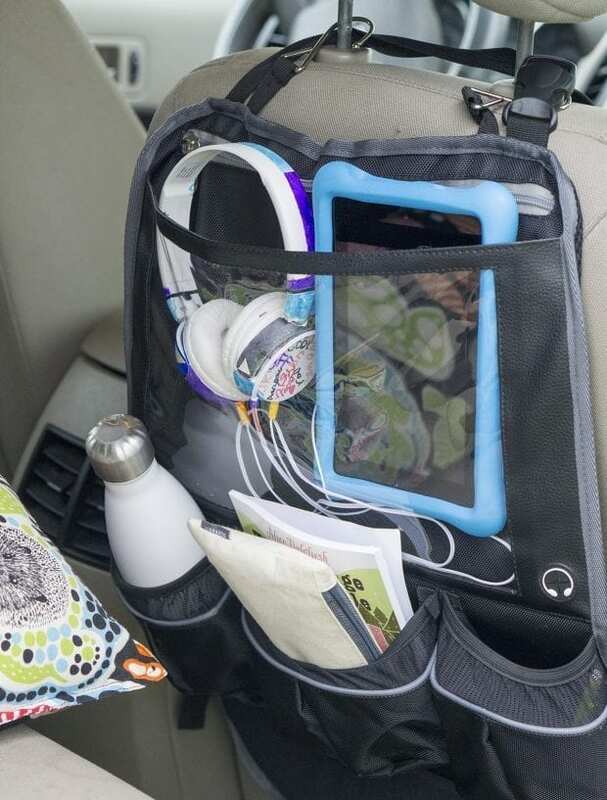 One goes on the back of the passenger seat and it has a place to hold your tablet, so you can watch movies, pockets for drinks, and lots of extended storage. The other is a bin that goes between the kids for easy access to cleaning wipes, games, and snacks. Although reaching for the refrigerator door whenever boredom strikes are not something you want to encourage for the long-term, snacks can be a great distraction on a road trip! Meals and snacks can be a natural way to break up a long journey, but be sure to keep it healthy, or your plan could backfire. The last thing you want is a couple of sugared-up kids who feel trapped. Plan ahead and choose healthy and fuss-free snacks like granola bars, fruit, yogurt, and sandwiches. 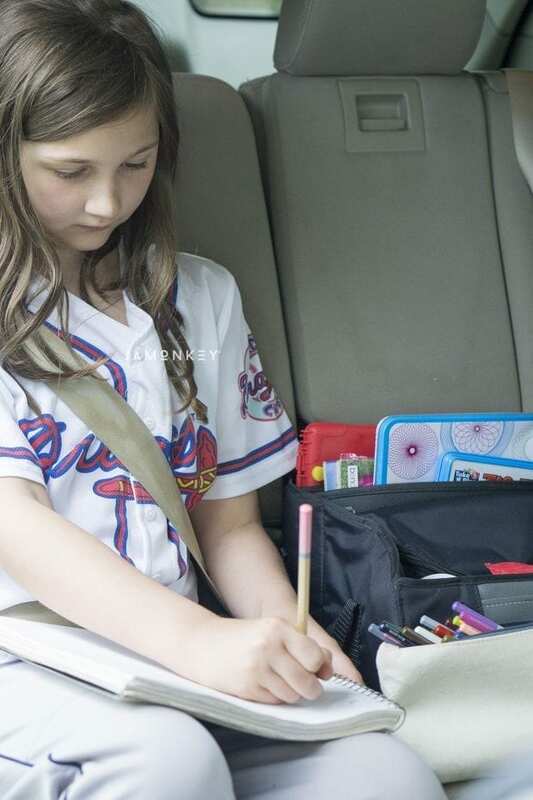 Does the thought of arts and crafts in the car sound far too messy? It doesn't have to be if you bring a few essential items. A small pad of paper, a set of colored pencils (I'll tell you why to avoid crayons in a moment), and a sheet of stickers can keep many kids occupied for the better part of an hour. Cookie sheets or sandwich trays make good portable drawing surfaces, while pipe cleaners can be used to create fuzzy backseat sculptures. I spring for colored pencils over crayons because I live in the South and it gets hot in the car which leads to melted crayons. They are nearly impossible to get out of car seats which is why I prefer colored pencils. A little bit of bribery never hurt anyone on a long road trip. Although you'll want to let your kids bring along their favorite comfort items and toys from home, you can make the journey more exciting by giving them a small surprise toy every so often on the road. It gives them a new exciting thing to play with when the trip gets “boring” and you start to hear, “Are we there yet?” The dollar store is a great place to find little things like this. These are all a few ideas to help you pass the time in relative peace. Why haven’t I thought to have them play tic-tac-toe or fruit ninja? Genius! This is a fantastic list of family road trip activities. I have to admit bribery is my favorite one! A gift works every single time, and not just for kids! Hold the phone. FRUIT NINJA???? I love that game. Move over kids!